After the excitement of March Madness ends, many sports fans go through somewhat of a lull. These fans can’t follow the NBA closely (myself included) because of the inevitability of a Warriors vs. Cavs matchup in the finals. However, for many of the truly diehard fans of sport, the beginning of the lengthy baseball season is more than enough to bridge the gap to the beginning of football season in the fall. The 2017 MLB season is setting up to be an extremely competitive one, one in which a whopping 15 teams have legitimate title hopes. Beyond the standings, there are a number of extremely talented young players who could emerge as superstars this year. So, here are the predictions of a truly diehard baseball and sports fan. I apologize to those who know me as a zealot Nationals fan. I promise this will be the last Nationals prediction I make. After an extremely disappointing 2016 campaign, in which he slugged a disappointing 24 home runs, and only hit .243, Harper will be back with a vengeance. Harper had a monstrous spring and April, in which he seemed to be completely healthy, as opposed to last year. The right fielder will finish the year batting well above .300 with 40+ home runs. Houston, you have no problems at shortstop. 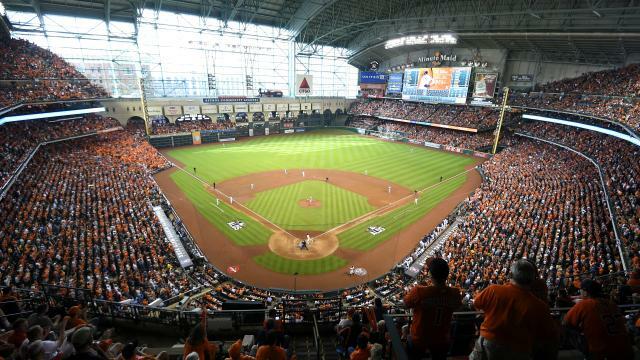 The future will arrive in full force for the Astros in 2017. Carlos Correa, once a mega prospect, fielding comparisons to a young Alex Rodriguez, has turned in two very solid campaigns. This year, Correa will fully realize his potential, slugging 35+ home runs, and hovering a .300 average the entire year. Do not be fooled by his underwhelming start in April. I hate to not go out on a limb, but Kershaw is a once in a generation talent. He is clearly the most talented pitcher in baseball, and if healthy, he will easily bring home the 2017 Cy Young. His lack of innings due to a lengthy DL stint, was the only reason Kershaw did not bring home the hardware last season. Kershaw will turn in 200+ innings of sub 2.00 ERA baseball and win 20+ games. There are numerous examples of ace pitchers changing uniforms in the offseason and not living up to the hype that surrounds them (David Price, Zack Greinke). Chris Sale will not be one of these pitchers. He will continue to meet, and surpass, Boston’s mile high expectations for him after his monstrous April. Sale is by far the most formidable left handed starter in the American league with his nasty Fastball/Slider combination. Sale will win 25 games for the Red Sox and sport a sub 3.00 ERA. The Astros, with Dallas Keuchel and Carlos Correa leading the way, will march into the postseason and World Series to ultimately lose in six games to the defending champions. Chicago’s lineup is arguably stronger this year with the addition of Kyle Schwarber. A bounce back year from Jason Heyward is more than enough to fill the hole that Dexter Fowler left when he departed for St. Louis. Their rotation is deep, and they plugged their final remaining hole in the offseason by trading for Wade Davis. The Cubs are simply stacked, and thus, they win their second championship in as many seasons.